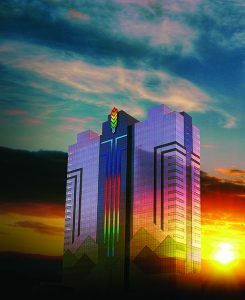 Don’t forget to make your hotel reservations soon at the Seneca Niagara Resort, as our room block is limited! Due to some agencies’ requirements, SAIGE is extending its early registration deadline from March 29 to April 12, 2019. Expected date for release of Draft Agenda is March 29. 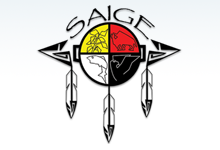 Nominate a deserving colleague for a SAIGE Outstanding Achievement Award! The purpose of these awards is to recognize agencies and individuals (civilian or military), who through their personal commitment and professional initiative have made demonstrable contributions in recruiting, retaining, and providing career advancement opportunities to American Indian and Alaska Native employees in the Federal workforce. Additionally they have assisted with the advancement of American Indian and Alaska Native professionals, role models and future leaders. Deadline: April 10 for awarding at National Training Program in June. As you know, SAIGE strives every year to make our National Training Program affordable for you as an attendee, and for your agency. We always negotiate the local government per diem rate for hotel rooms for our event. This year that rate is $93 per room night. We are very pleased to be going to Niagara Falls, NY to this beautiful tribally-owned facility and invite you to join us. The Seneca Niagara Resort and Casino is now accepting reservations for rooms during our Training Program June 10-13, 2019, as well as a day before and day after to help you with your plans. Deadline for Hotel Room Reservations is MAY 18. After that, no government rate rooms will be offered. Guests must provide the Hotel room reservation department with a major credit card to guarantee their reservation for late arrival. All individuals will be responsible for their own room and incidental charges upon check-out. Cancellation Policy: Guests must cancel their room reservation 72 hours prior to arrival to avoid fees, failure to show on the day of arrival will result in a charge of a one night room rate. Please download this and circulate this widely through your own contacts. Thank you! 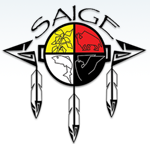 Purpose: The SAIGE Meritorious Service Award honors military members, Department of Defense civilian employees and military veterans in government service, who have supported the DoD or their agency’s mission, whose attributes best epitomized the qualities and core values of their respective military service or DoD Component and promoted a positive image of Native Americans in uniform. Please click here to download the application for the 2019 Military Meritorious Service Awards.